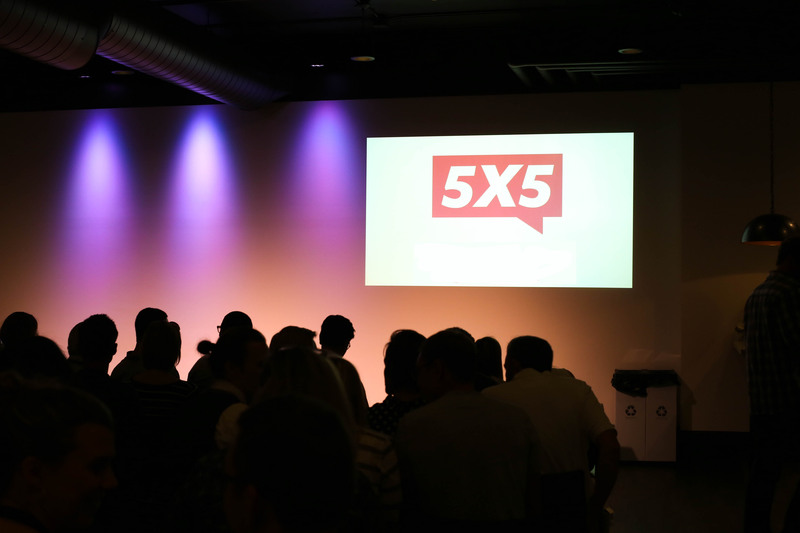 September’s 5×5 Night featured a wide range proposals, from entrepreneurs working on socially innovative products that would contribute to solving the global food crisis, to apps that aim to connect college students beyond their dorms. Ben Logan of Ben’s Buzz Box took home the $5,000 to fund the development of his bee hives. Logan’s hives are designed to reduce transportation stress on bees and improve the overall health of hives to increase honey bee populations. There have been several small developments in the beehive model, but the design widely used today was developed in the 1850’s, without modern beekeeping in mind. “No one has done exactly what I’ve done,” said Logan when asked about previous developments in honey bee design. Ben’s stack able, thermostatically ventilated hives are not only designed with the health and happiness of the bees in mind. The honey bee population is currently in crisis, and if they disappear, ⅓ of the world’s food will along with them. By implementing Logan’s design, beekeepers will be able increase individual beehive populations by 5 percent, averting a global food crisis. Other presenters included Luciano Herndandez from Tiger Tech, a manufacturer of vehicle mounted solar lights are easy to install; Demetrius Hayes of Flickd,a traffic app that aims to use cloud technology to provide users with real time updates; Michelle Leach from The Oasis, manufacturers of an aquaponics system that aims to increase food security in El Salvador; and Zoe Zappitell and Brittany Urich of Conecter, a closed-campus app for college students.